The Air Force (YRV) had about 32,000 members, including 4,000 recruits; disposed of with more than 700 aircraft and 200 helicopters. 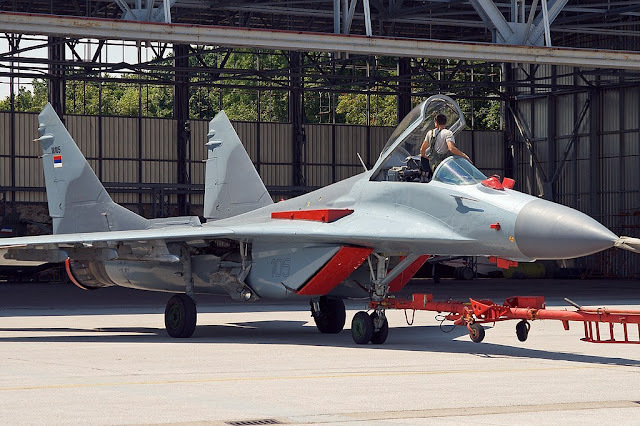 In the 12 squadrons were deployed attack hunters domestic production for close air support (165 aircraft Eagle-2, Super Galeb and J-21 Eagle, and older P-2 Kraguj). They were armed with AGM-65 Maverick air-to-ground missiles American made or Soviet A-7 and A-9 missiles. In the nine squadrons were deployed 130 Soviet MiG-21 interceptors, largely outdated and armed Soviet air-to-air missiles AA-2 and similar outdated or something more modern AA-8 missiles. In 1987, Yugoslavia received 16 MiG-29 interceptors. JRV has two squadrons with more than 30 Soviet Yak-40, Antonov An-12 and Antonov An-26 transport aircraft, seven squadrons of transport helicopters Mi-8 and domestic Partisan (French Aérospatiale Gazelle-produced under license). 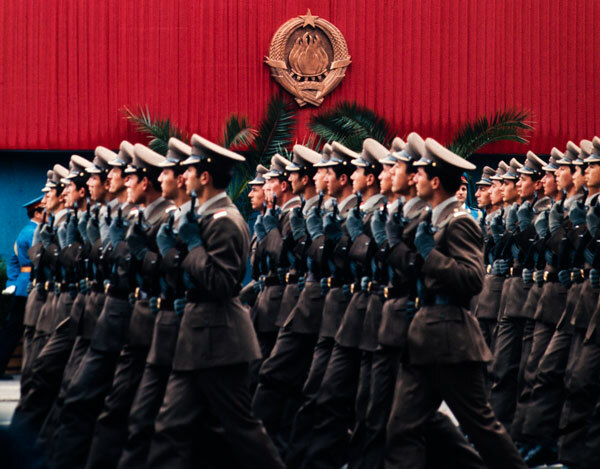 During World War II, the main task of the RV was the struggle against the occupiers and their collaborators, for the liberation of the country and the establishment of social order, designed by the Communist Party of Yugoslavia. Immediately after the war, the tasks have been reduced to preserve the established order and the protection of foreign intervention. 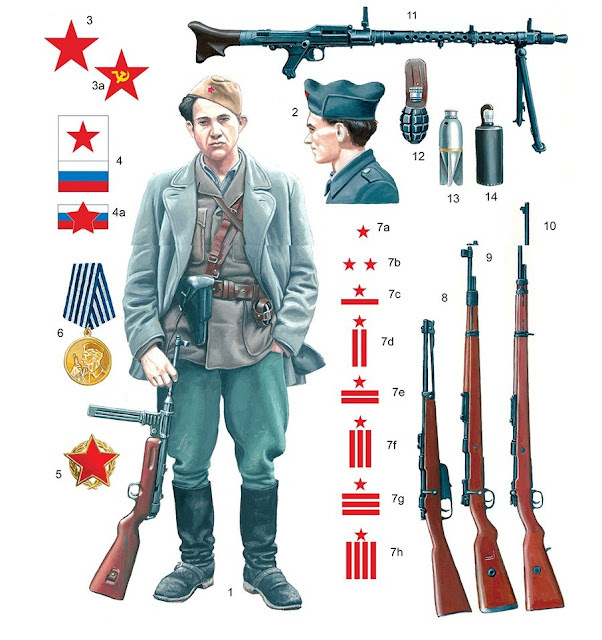 Yugoslav People's Army was created in the National Liberation War, against the invaders. 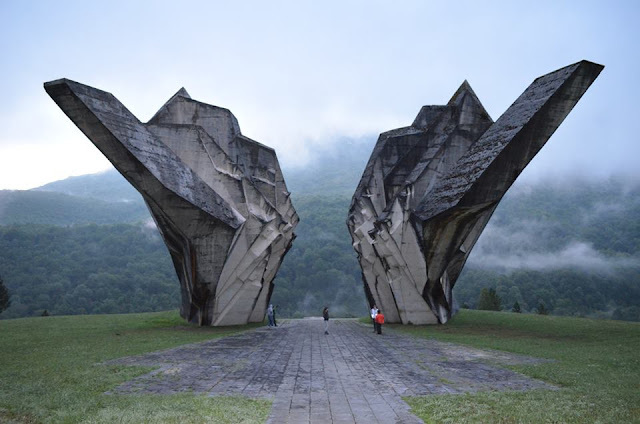 It is also the part of it, the Air Force and Air defense, created during the war and to 21 May 1942, with two pilots defector from the NDH to the free territory, which was controlled by partisans in the Bosnian Krajina. 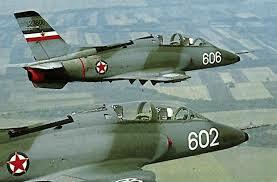 In this initial period was called the "former Yugoslav Air Force", all the way to the formation of special units for Air defense (PVO) and their integration into a single type of Air Force and Air defense (the Air Force), 1959. Hawker Hurricane Mk.IVRP in Belgrade Aviation Museum. · Supreme Headquarters also forms the first air base, 14 October 1943. The main task has been gathering and organizing the human resources base and preparation of infrastructure for the aviation techniques of help from allies. 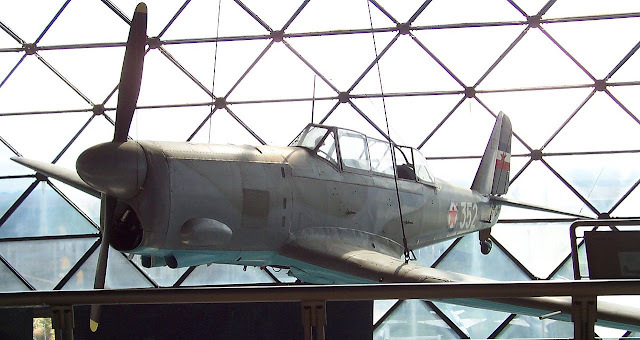 · At the Second Session of AVNOJ, November 29, 1943, Tito said that the Supreme Headquarters of Allied sought delivery of weapons, within which the combat aircraft. 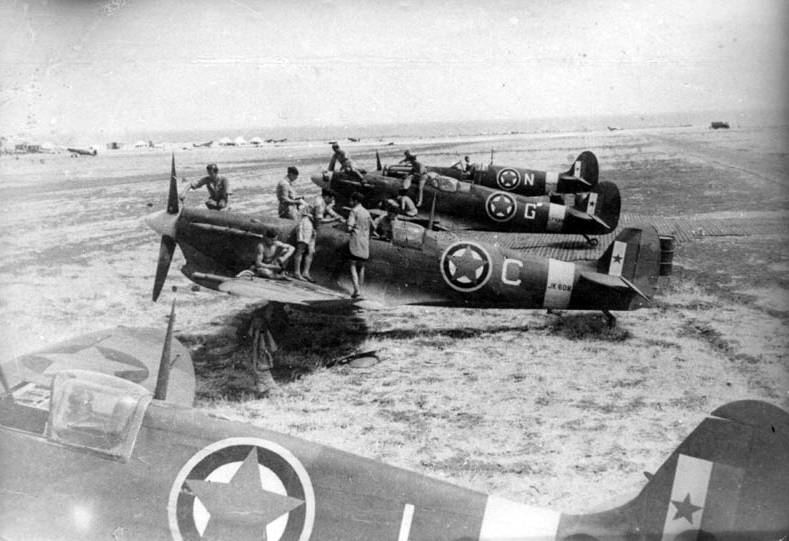 · With the Yugoslav-British protocol, on March 12, 1944, is determined by the formation of a combat aviation People's Liberation Army of Yugoslavia, on the soil of Africa. Formed the first squadron of aircraft, armed with Spitfire, 1 May 1944 and the second aircraft squadron, armed with Hurricane. Both squadrons, soon after the formation transferred to Italy, then to the airport Kane on Vis, and then the Airport Defiance and Škabrnje. 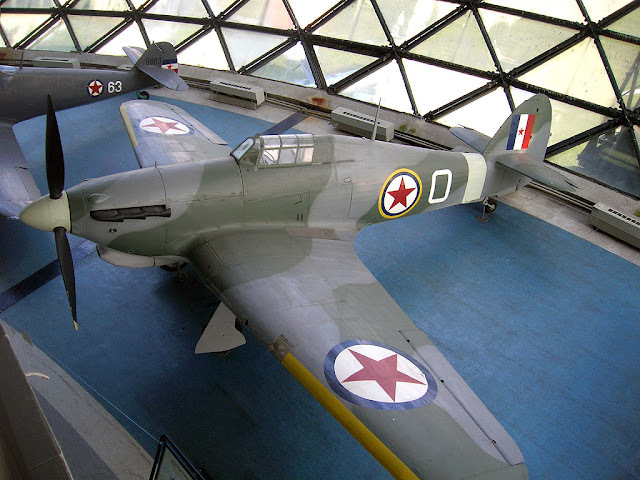 Until the end of the war, those two squadrons were successfully They cooperated with units of the Yugoslav People's Army, the final operations of the liberation of the country. fighter Jak -3, as an exhibit at the Museum of Aviation. Air Force Test Center, August 10, 1945. Aeronautical Military Academy, 12 September 1945, for the training of pilots and scouts. Aeromedical Institute, 11 November 1945. Aeronautical Technical Institute, 10 August 1946. Aircraft Academy on 15 October 1947. Yugoslav airplane type 213, in the Museum of Yugoslav Aviation, Belgrade, Serbia. The airplane was used for pilot training in 1950's. Due to the political conflict with the Soviet Union, aborted delivery of spare parts and materials. 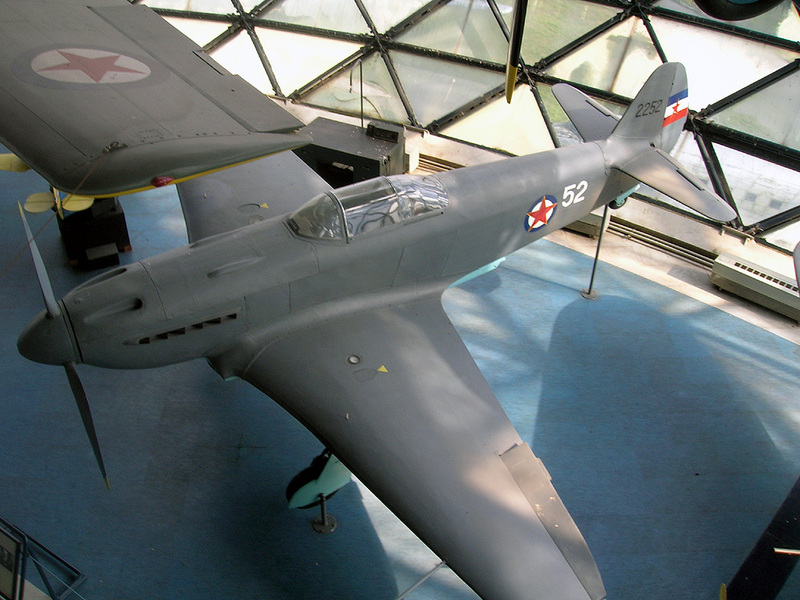 Accelerated was done on the development of the domestic fighter S49, which is mass produced in Icarus (aircraft factory). Josip Broz Tito, symbolically handed over the aircraft to operational use, 21 May 1950, at Zemun Airport. in the period from 1962 to the beginning of the 80s from the Soviet Union was purchased 216 copies of which were still some in operational use. We supplied aircraft and other purposes, helicopters and PVO resources. 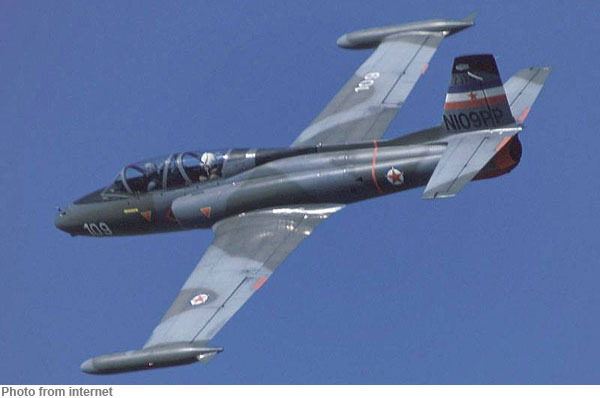 Developed and manufactured school-jets G-2 Galeb G-4 Super Galeb, for primary education Utva 75 and the first prototype Laste and fighter-bomber J -21 J -22 and Hawk Eagle. 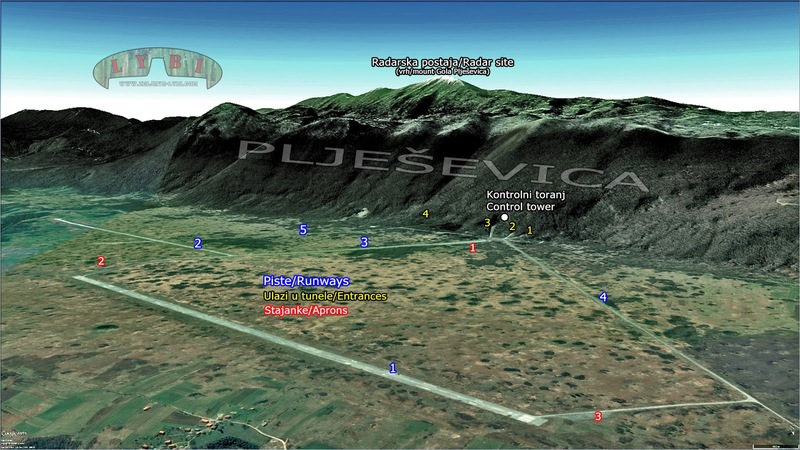 The Yugoslav Air Force has begun with the first improvised partisan improvised runways for takeoff and landing light plane, near the village Međuvođe, but at the end of its existence is disposed with a premium, such as Batajnica Airport, Zeljava (near Bihac) and many others. After the sixties, principally made on building the modern underground and above-ground shelters and shelter, aircraft and personnel, with resulting in an increase in the toughness of the entire Air Force. 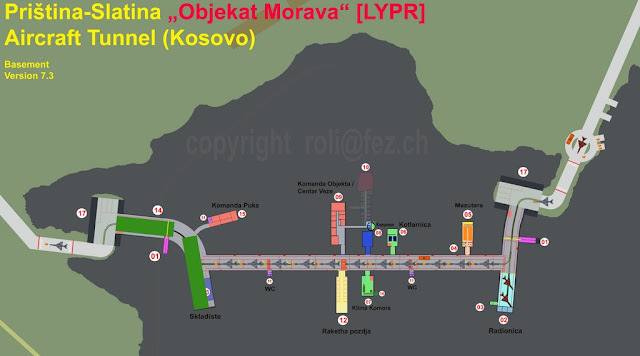 A special characteristic example is Air Base Zeljava. 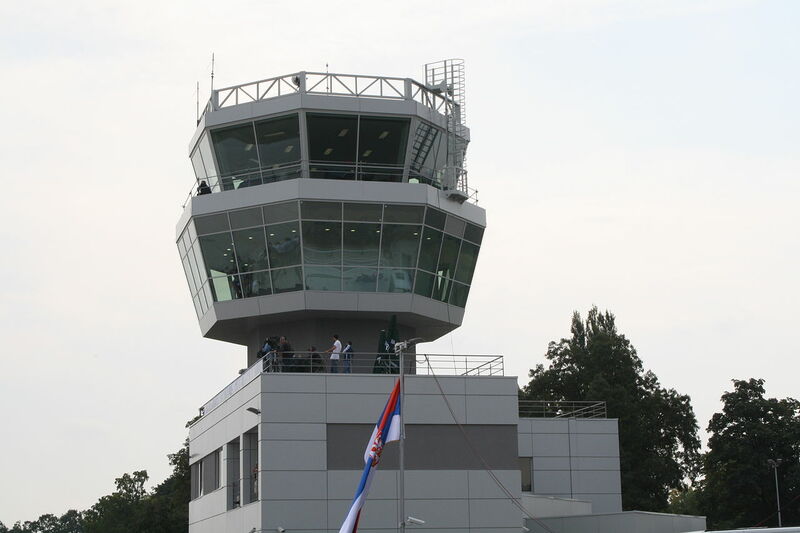 Has been established and maintenance a large number of alternative and of the spare airport, around Yugoslavia. In the Rajlovac was a Department of overhauling aircraft engines and Aeronautical Technical Military Academy. In 1991, the deeply-rooted grievances that had been threatening the unity of the Federal state for some time finally came to a head when Slovenia initiated moves towards independence. At the end of June 1991, the JRViPVO was tasked with transporting soldiers and federal police to Slovenia. The Slovenes resisted this re-imposition of central control, which rapidly escalated into an armed conflict. Two air force helicopters were shot down while the JRViPVO launched air strikes on TV transmitters and Slovenian territorial defense positions. After a political agreement, the federal forces left Slovenia. Meanwhile, armed conflict had broken out between Croatian and Serbian forces in Croatia. The JRV flew several low passes in a show of force against Croatia and launched a number of strikes. In August 1991, the Serbian-dominated federal government began an open war campaign against the Croats. 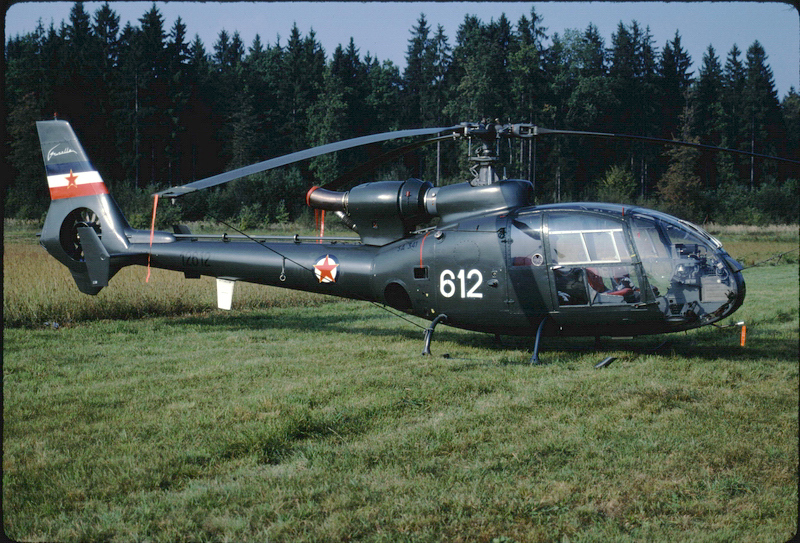 The JRV was active providing transport and close air support missions to ground forces but was gradually forced to abandon air bases outside of ethnic Serbian-held areas. The hostilities were ended by a truce on 3 January 1992. The JRV equipment in Bosnia and Herzegovina was given to the new Republika Srpska Air Force and used during War in Bosnia. 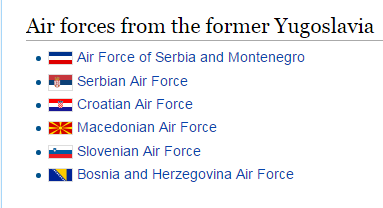 The bulk of the SFRY air force was inherited by the FR Yugoslavia Air Force.